Hair loss isn’t something that you should be forced to just live with. A full head of hair can help boost your self-confidence and improve your overall mood. Unfortunately, it can be difficult to find a product that actually regrows hair and stops thinning. 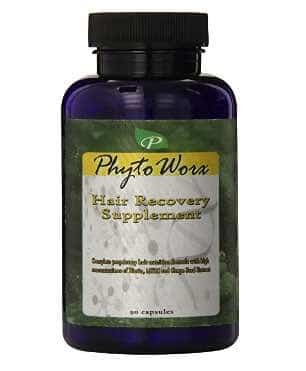 A very popular hair loss supplement is PhytoWorx Vitamins Supplement. I decided to try it for myself, keep reading below for my full PhytoWorx Hair Recovery and Regrowth Supplement review. There is a long list of benefits of using gotu kola for hair. For one, gotu kola has antibacterial properties, but it is also well known for reversing hair loss. Gotu kola strengthens the hair follicles directly at the root, allowing for better circulation and promoting hair regrowth. Better blood circulation to the scalp means that blood, oxygen, and other nutrients can reach the scalp and hair easily. This plays a key role in healthy hair development. Nettle leaf powder is packed full of vitamins and nutrients which have been shown to promote hair growth. It contains vitamins C, D, K, and B, as well as calcium, potassium, iron, and chlorophyll. Nettle leaf powder does wonder to prevent breakage. It strengthens the hair along its whole length, from the ends to the shaft, down to the roots. While strengthening the hair, nettle leaf powder also promotes new hair growth and as an added bonus, it is a great dandruff fighter. The grape seed extract in this supplement acts like armor, protecting your hair from free radicals that would otherwise damage it. It also speeds up the hair cycle, meaning instead of your hair stalling at the same length for months at a time, it will actually start growing quicker. In studies, grape seed extract has also been linked to increased hair follicles, this makes it a popular ingredient in hair loss products. Although it sounds unnatural, L-lysine is just an amino acid that your body needs, but cannot produce on its own. This means that we must get L-lysine from other sources, but most people do not get enough of it in their normal diet. This supplement helps provide your body with L-lysine, which is known to promote hair growth by aiding in vitamin C absorption. Vitamin C is required to create collagen, a key component of hair. Thus, L-lysine promotes collagen production, which in turn promotes hair growth. Kep has been known for its health benefits for quite some time, but it turns out it is also great for hair. Kelp helps keep your scalp healthy and contains several vitamins and minerals that are important in hair growth. It also contains laminaria angustata, which helps thicken hair. However, kelp is an acquired taste, and working it into your diet can be a challenge, but taking a supplement daily is quick and easy. I first decided to use PhytoWorx because I had thinning hair for several years. My hair was so important to me, but it was weak and thin and it was almost impossible to get it to actually grow. I found it very hard to believe that just three little pills could really fix my hair, but I figured it couldn’t make it any worse. When I got my first bottle of PhytoWorx hair loss supplement, I was happy to see that the capsules weren’t huge horse pills that I was going to choke on trying to swallow. Okay, that may be a bit of an exaggeration, but I’ve seen some pretty big supplements. I didn’t think I would have to take 3 of the capsules, but it’s not like that’s a big deal. It was an adjustment to remember to take the capsules every day and for the first week or so, I would forget a few times, or I’d remember as I was laying in bed trying to go to sleep. I ended up having to set a reminder for myself on my phone, but hey, it worked. Thankfully, after adding this supplement to my daily routine, it only took a few weeks to start seeing results. Once I ran out after the first month, I immediately bought more because I could tell it was making a difference. Does PhytoWorx Hair Recovery and Regrowth Supplement Really Work? The simple answer is yes. As I said earlier, after using this supplement for a few weeks, like four or five, I started seeing results. My hair didn’t look nearly as dry and damaged as before. My hair was looking shinier and healthier and it felt great. It didn’t come up in clumps when I brushed it either, which was always so embarrassing. After I noticed it getting stronger and shinier, it also started growing faster. Before these supplements, I would go months with very little growth, which was very frustrating while I was trying to grow my hair back out. But since taking them consistently for a few months, I have noticed my hair is both longer and thicker. Results are seen within 4-6 weeks - 100% Guaranteed! Use with Phytoworx Organic Shampoo (SLS FREE) for the best results. If you are not seeing results from PhytoWorx, my recommendation is to keep taking it. For some people, it takes longer to start seeing results, so I recommend taking it for at least three months. If you want a higher chance of seeing results, I also recommend using other hair loss products in addition to these supplements. That might help to get you results faster, but it’s not something you can rush. It wouldn’t hurt to take a before picture either, that way you have something to compare your hair to after six weeks or so. While taking PhytoWorx, I have not experienced any side effects. This was such a relief because I have heard horror stories from my friends about supplements. They were not hair loss supplements, but they told me they would make them nauseous or dizzy or make their heart beat faster, but thankfully I did not experience any of this while taking PhytoWorx. As long as you follow the directions on the bottle, you shouldn’t have any side effects either. If you do find yourself experiencing side effects, it may be because you took the capsules on an empty stomach. Be sure to take the capsules with food to avoid any nausea or anything. If you are following the directions correctly and still experiencing side effects, I would recommend you stop immediately and talk to your doctor. If PhytoWorx doesn’t seem like your cup of tea, don’t fret, there’s still hope for you to get your hair back. Another great supplement choice is Hair Rush by Ultrax Labs. Hair Rush is a specially formulated blend of over 20 vitamins, minerals, and herbs proven to strengthen and restore hair. Like PhytoWorx, it is also safe for use by men and women, making it a great alternative for everybody. You can buy hair rush here. As I mentioned earlier, this supplement works better when you use it with other products. One such product is the PhytoWorx Organic Hair Loss Shampoo. This totally organic shampoo is packed full of nutrients proven to stimulate hair growth. When you use it with the supplements you are more likely to get the results you want. Another great add-on to these supplements is Ultrax Labs Hair Solaye, a hair stimulating conditioner that is second to none. It contains tons of great things, such as caffeine, jojoba oil, and chamomile extract. They all work together to give you stronger and healthier hair, and the best part about this one is that it gives you immediate results! So basically, if you use all three of these products together, you have a really good chance of stopping your hair loss and regrowing your hair naturally. Overall, this is a supplement that I would highly recommend to anyone experiencing hair loss or breakage. I have had great personal success while using PhytoWorx supplements and I know lots of other people have too. However, I recommend the add-ons just as much as the supplements themselves. 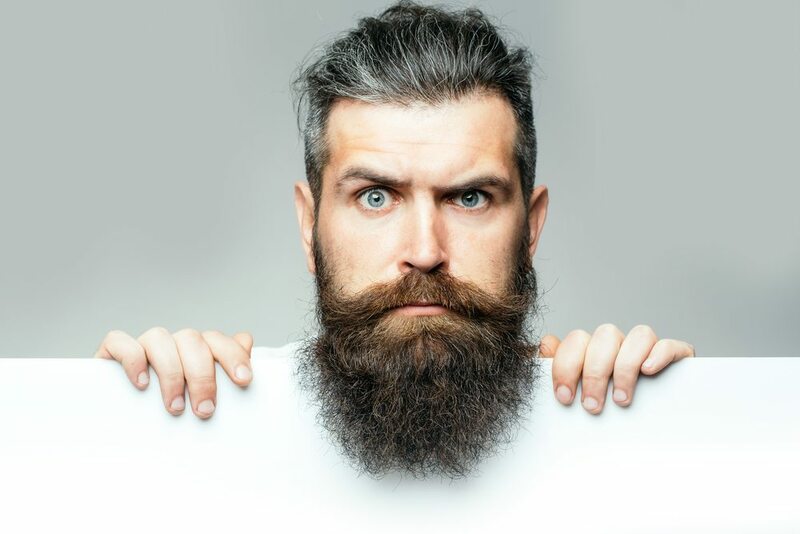 If you really want to regrow your hair and keep it healthy, the best way to do it is to go all in. Other shampoo and conditioners may contain harsh chemicals that actually work against you in your hair growth efforts. PhytoWorx is definitely worth every penny it costs, the results are guaranteed, you just have to be patient. Nothing happens overnight, hair grows slowly even when it is growing fast, even the shampoo and conditioner take time to cause significant hair growth, but once it starts, it is impossible to deny.